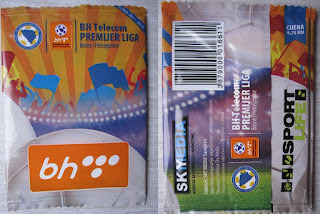 In the spring 2015 the first sticker album of the Bosnia & Herzegovina football league made his appearance, published by the local company Sky Media. The album includes all the 16 teams of the Premier League. In the first two introductory pages there are 9 stickers: a big logo of the BH Premijer Liga (composed by four stickers), the trophy of the competition, the national federation logo and a celebratory picture of the champions 2015 FK Sarajevo (composed by three stickers). These last three stickers were numbered A, B, and C and printed at the end of the season and included in normal packs of stickers. The album continues with a double page that includes all the stadiums of the Premier League with a total of 16 stickers. Next to each sticker there are details about the name, capacity and location of the stadium. Teams are shown in alphabetical order. 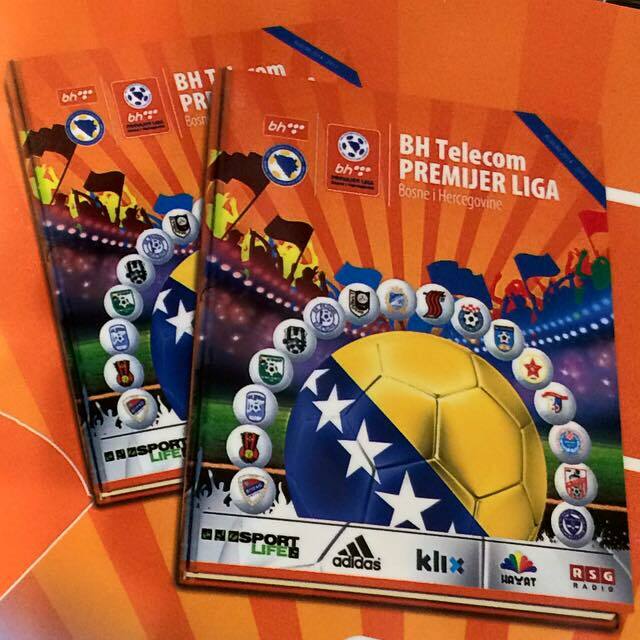 Each team is displaced over two pages with a total of 20 sticker: the club badge, the team photo, and 18 players. Player stickers include details like date and place of birth of the player. 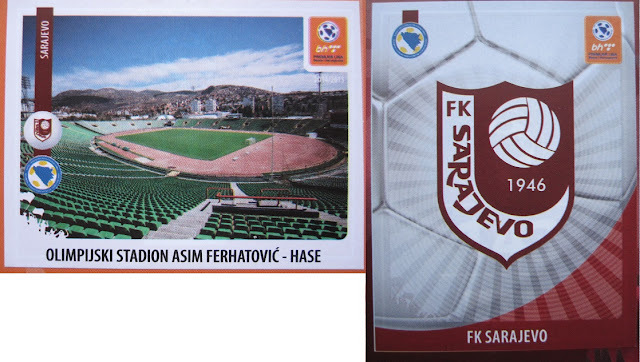 The three stickers A, B, and C were printed after the end of the season to celebrate the winner (FK Sarajevo). They were included in sticker packs and could be glued in the second page of the album. Personal note: This album has been particularly challenging to complete. I bought three boxes (150 packs) and album and I had many doubles (sometimes doubles in the same sticker pack!) with still more than 50 missing stickers. Stickers were removed from the market and it seemed that it was not possible to request the missing stickers to the publisher. I went through multiple exchanges on a facebook group contacting local collectors and after four months I have finally received the last missing stickers! I want to thank everyone who helped me: Faruk, Anesa, Vedran, Vladimir, Nasiha and Samir. i collect albums football scanned. Are you interresetd with changing albums or selling?